Local youth working in the new Yalata Youth Enterprise shop are getting great experience in hospitality and customer service, and giving back to the community. The DCSI Service to Aboriginal Youth (STAY) program provides funding for the shop, which started trading in March 2017. The shop has been a great addition to the local community, with income generated through shop sales going back into the STAY program. Since opening, they’ve purchased equipment and have supported junior footy players to play in the Ceduna League. 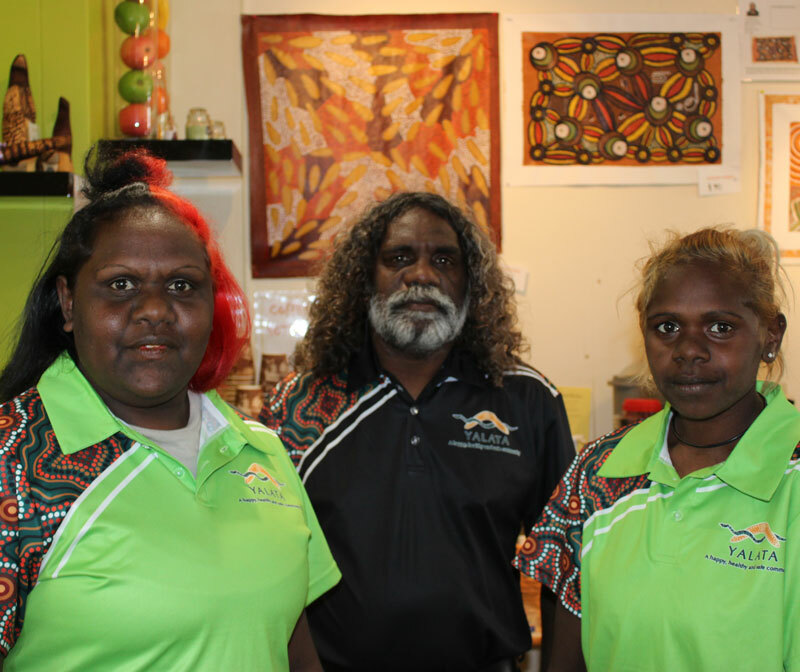 Pictured are Youth Program workers Alinta, Lindsay and Phyliss, who are helping Yalata youth take charge of their own future.